Why would Newton and these intelligent men, some of them founders of churches, believe such unsavory things about an institution which runs orphanages, schools, hospitals, and has exemplary members like Mother Teresa? Simply put, they understood the book of Daniel, specifically chapter seven, in a way that many have forgotten. 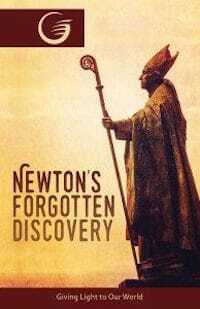 So what did Isaac Newton and others know about the book of Daniel that brought them to their Pope-opposing positions? (Note: To understand the next few paragraphs, you’ll want to read slowly and use your Bible.) Here is the ultra-simplified breakdown: Daniel chapters two and seven are parallel chapters in which God, through symbols, foretells the rise and fall of four major world empires: Babylon, Medo-Persia, Greece, and Rome. (10) Here is how the nations are described: chapter two describes an image/statue composed of four kinds of metal representing the four kingdoms. Then Daniel chapter seven describes, not four metals, but four beasts representing the same kingdoms while giving more symbolic detail. (11) Then in Daniel 7:20 the focus shifts from the fourth beast (Rome) to ten horns. What do those symbolize? Verse 24 shows that the ten horns represent the ten kings/kingdoms(12) that arose out of and after Rome. In those 10 horns, modern day Europe finds its origins foretold. Last, the focus shifts to a “little horn” which is what these learned men understood to be the antichrist power (aka the Catholic system/Pope). Someone reading this tract might now think, “How is Daniel’s little horn the antichrist? They are two different terms.” First, the term “anti” in “antichrist” means both “against” and “instead of”(13): hence many theologians, knowing this, understand the term “antichrist” to refer to individuals or entities which the Bible describes as pretending to take Christ’s prerogatives. people who were killed during Catholicism’s Inquisitions, Crusades, and other church and state-united actions. (23) The English classic, Fox’s Book of Martyrs gives a vivid account. 5. Vs. 25 – The little horn thinks to change God’s law (10 commandments) – Catholic Church changed the day of Sabbath rest from Saturday to Sunday (24) thus altering the 4th commandment. Most Protestant churches have overlooked this unbiblical change. At this point someone might say, “Well if this interpretation is true, then why haven’t I heard of it from my pastor or priest?” Naturally, the Catholic Church didn’t like being pointed out as the antichrist power described in Daniel and Revelation. Accordingly, two of their Jesuits named Francisco Ribera and Luis de Alcasar developed two alternative ways of interpreting the prophecies. (25) These Catholic methods of interpretation are called “Preterism” and “Futurism.” Preterism points to the past to find the antichrist and futurism points to an unknown antichrist figure in the future. 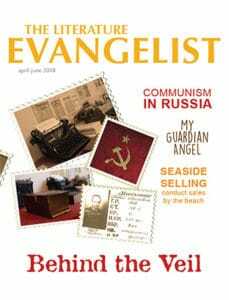 Surprisingly, the vast majority of non-Catholic Christianity now holds one of the two Catholic views on the identity of the antichrist. Few are aware though that the antichrist power is alive and well today according to Isaac Newton and many others. In closing, let us think of our Savior who prayed for His enemies. (28) Conversely, reliable history shows that the Catholic system destroyed multitudes through persecution. Our Savior taught that only belief in Him saves. (29) The Catholic system taught and still teaches that giving a certain amount of money can free us from the punishment of sin. (30) Jesus encouraged us to read and understand the Bible for ourselves. (31) The Catholic system restricted the Bible and its reading for centuries. (32) Jesus claimed to be equal with God. (33) Catholicism claimed the Pope was God Himself. (34) Jesus said His kingdom was not of this world. (35) Catholicism did and does have political agendas. (36) Jesus kept His Father’s commands. (37) Catholicism changed God’s 10 commandments. (38) Apparently these and other antichrist-like characteristics alone did not lead many learned men to believe that the Catholic system was the ultimate antichrist power though. Rather, they believed that Christ’s book–the Bible–shed this light on this system. Hence it seems that their understanding of the antichrist was not based on the church’s changeable public face but on unchangeable scripture. If these men were correct, then this revelation of Catholicism’s future actions will be confirmed, at which point we would do well to heed Jesus’ merciful call to the honestly deceived in Catholicism: “Come out of her my people. . .” (39) Were Isaac Newton, King James, Martin Luther, John Calvin, and many others correct? Or were their Jesuit counterparts? Only your further study will tell.